Releases For the First Time on Disney Blu-rayTM December 11, 2012 With All-New Bonus Content Featuring The Making Of The Film, Audio Commentary with Filmmakers and Cast, Deleted/Extended Scenes & Much, Much More! 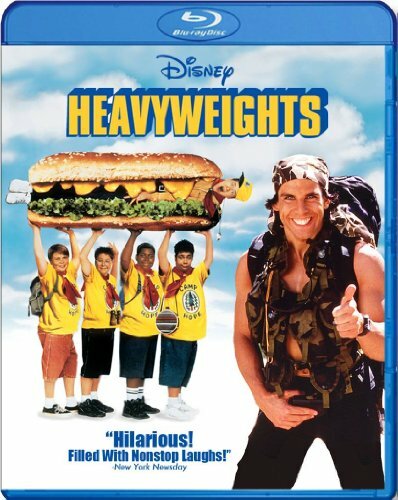 Synopsis: From the Producer of Bridesmaids...comes Heavyweights , a comedy of enormous proportions! It's the hilarious story of a group of underdog kids who discover their beloved summer camp has been sold to a crazy fitness fanatic (Ben Stiller) who's determined to make their lives miserable! The new owner plans to keep the boys huffing and puffing, but these hungry kids have a plan of their own. They unite to turn the tables, take back their woodsy hideaway and challenge the rival camp to themost outrageous summer games of all! You'll laugh out loud with these Heavyweights - they're big, loud and proud, and ready to win their way into your heart!